Here's the Service For a Handyman Tower Hamlets Has Always Needed! Handymen Supreme makes hiring a qualified and experienced home repair professional easy, anywhere north of the Thames... and beyond! Get work from the fully vetted specialist that's right for you and the task you have at and. And get it carried out under full insurance cover and a thorough quality guarantee. In addition, we support 24/7 customer care hotline so you can all us any time. We also provide emergency services because sometimes the disaster can't wait. Our customers love us due to our remarkable attention to details, can do attitude and professionalism. Our pricing system is absolutely clear-this means there are no hidden charges and costs. To read what previous North London cutomers think about our services, visit our reviews page. Why Do Other People Hire Us? Odd Jobs - fixing common problem around the home or office, like blocked sinks, faulty wiring, jammed doors, and much more! Furniture Assembly - In need of lifting or shifting your furniture? Don't hesitate at all, simply give us a call! We perform high quality furniture assembly services too. Interior Painting - update your home or office with a fresh, high quality look with this handy service. The team are equipped with the best tools around. TV Wall Mounting - fixing a piece of equipment like an amplifier, speaker or television to a wall needs some proper attention if you don't want to be left worrying! Hanging and Fitting - similarly, fitting new shelves, rails, pictures and so on always feels better and more secure when a professional has done it. 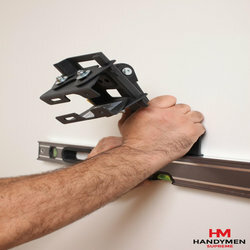 Why Do Others Hire Our Handyman Services in Tower Hamlets? Wondering why 97% of our customers would recommend us to family or friends? It's because we've worked hard to give you complete peace of mind when you hire our handyman services in Tower Hamlets. Full insurance cover is simply part of the package, and our transparent hourly-based pricing structure means you'll never be surprised by hidden costs. Who are these previous clients? We work with business and home owners, letting agencies, landlords and tenants across the capital. Because our phone lines stay open and fully staffed around the clock, it couldn't be easier to set up your appointment! By giving us the correct details about your situation we'll be able to make sure that most qualified expert is sent to deal with your problem. All you need to do is 020 3746 5607 to get speaking to an adviser. Or you can enter your details into our booking form or use our chat facility to speak to us right now. The Borough of Tower Hamlets is on the north bank of the river Thames, with much of it being redeveloped docklands - the most well-known part of which is Canary Wharf. The name "Tower Hamlets" originally came about because the area was formed by an association between the Tower of London and the hamlets that surrounded it. These days the Tower of London is a World Heritage site that brings in over 2 million tourists every year.